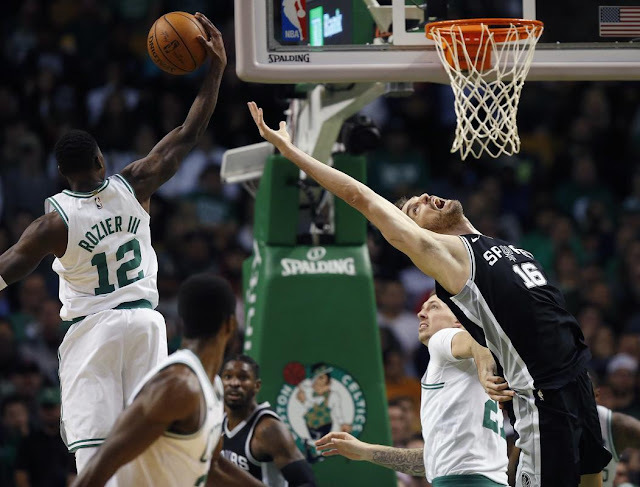 The Boston Celtics had about as rough of a start as any team can, with new star Gordon Hayward going down injured just minutes into the season opener, taking the team's hopes of title contention with him. Or did he? After dropping that opener to the Cleveland Cavaliers and another to early front-runner for MVP Giannis Antetokounmpo and the Milwaukee Bucks, the Cs have won five straight behind one of the best defenses in the league. Check the video above to hear embedded reporter Amanda Pfulgrad discuss the implications of the team's strong response to this adversity.